Chef’s table è la pazzesca serie di documentari di David Gelb che racconta i migliori cuochi del mondo. È su Netflix. 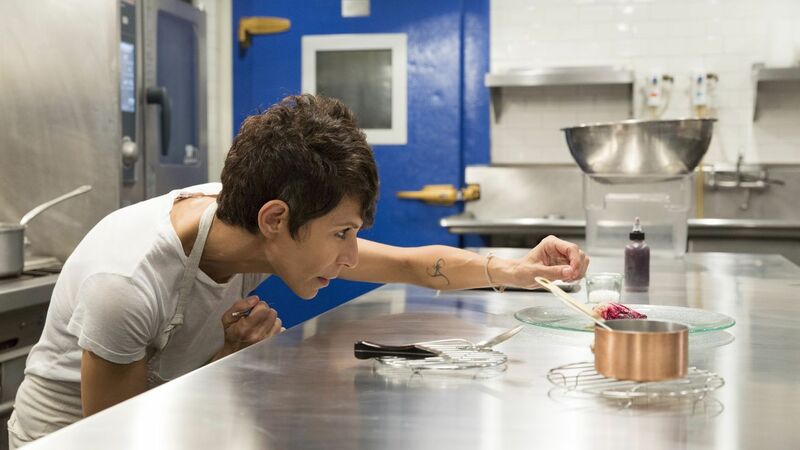 Se la prima serie era già abbastanza speciale (c’era anche Massimo Bottura, che in questi giorni è diventato una specie di numero uno al mondo), la seconda ha accentuato ancora di più i punti forti dello show: estetica foodporn e grandi storie personali degli chef protagonisti. Ogni stagione 6 episodi, questa è, senza tante parole, la mia discutibile classifica dal migliore al peggiore. 1. Dominique Crenn di Atelier Crenn, San Francisco, Usa. Ragazza francese, adottata, dolcissima, misteriosa, apparentemente con una vita solo per il suo ristorante, anzi ristoranti (ha anche un bistrot, Petit Crenn). Serve menù presentati come poesie, prima donna a prendere due stelle Michelin. Nel documentario si dilunga sul padre che non c’è più, le telecamere la seguono in Francia, ci sono continuamente foto di lei da piccola. Poi tutto si connette: ogni foto sembra spiegare ognuno dei suoi piatti. Merita, e poi gli altri sotto hanno già avuto le loro soddisfazioni. Best quote: «It’s not about us creating dishes. It’s about connecting everything, from the start to the finish». Best dish: Non importa, come dice lei. Ma l’Honey apiary non sembra male. 2. 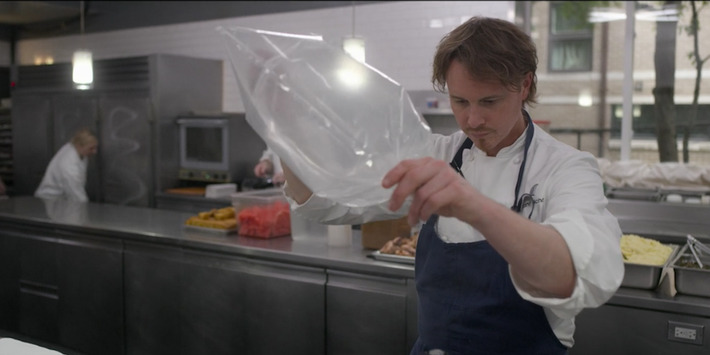 Grant Achatz di Alinea, Chicago, Usa. Lui è il vero numero uno della serie. Molto chef, moltissimo artista. Cucina genere “oltre”: ti fa mangiare su cuscini che liberano profumo di noce moscata, oppure serve palloncini di zucchero. Storia pazzesca: gli diagnosticano un tumore alla bocca, lo danno per spacciato, trova quasi per caso una cura sperimentale, cucina avendo perso il senso del gusto per mesi, poi lo ritrova. Nel frattempo chiede al suo executive chef, Mike Bagale, di realizzare un palloncino alimentare. Lui ce la fa. Best quote: «All chefs want to be known for using a knife. Cutting, creating, sautéing… doing all of that. But maybe that’s not the most important thing. Maybe the most important thing is taking the idea, that little nugget, and handing it to someone else. And the next thing you know, someone is holding a balloon». Best dish: Tropical fruit with rum, vanilla, kaffir lime. Ovviamente servito direttamente sul tavolo. I tipi di Chef’s Table ne hanno fatto l’immagine di copertina della serie. 3. Alex Atala, D. O. M., San Paolo, Brasile. Lui è diventato una star davvero. Di questi primi tre, è forse quello da cui mangerei più volentieri. Ex punk, diventa il messia della nuova cucina brasiliana, usando solo ingredienti locali. Il documentario inizia con un suo sogno, fatto una sera dopo che aveva preso troppi acidi (vedi frase sotto). Al 7° minuto sgozza un gallo come se stesse sbucciando una banana. Al 13° copre d’oro una formica amazzonica. Al 15 si fa una cucchiaiata di salsa di formiche che sanno di lemongrass. Al 26° squama con un coltello di mezzo metro un enorme pesce Pirarcu. Al 36, tra una lezione sulla tapioca e i suoi derivati, si fa pure un match di judo contro un malcapitato e un bagno nudo e tatuato in acque amazzoniche. Si fa due cuori di palma abbattendosi da solo l’alberello. Gran finale sulla storia dei suoi tatuaggi (mica pochi). Best dish: The Amazonic Ant. Ma anche il Pirarcu con farina di manioca, tucupi e tapioca. Best quote: «A plant has a circle. A seed becomes a plant that has a flower, it transforms into a fruit. The fruit drops. There’s another seed… and the seed grows again. This is a circle. And I said: “I see. I understand. But why did you show me the flower?”. And he said: “The flower is the moment that we live, the most beautiful moment of the circle. The most beautiful moment. Contemplate this”». Indiano che trova fortuna in Thailandia. Decide di fare cucina prog indiana, s’indebita, perde un fratello, va a studiare al Bulli, ma alla fine ce la fa. 5. Enrique Olvera, Pujol, Città del Messico, Messico. Praticamente il re della tortilla sofisticata. Anche lui ha un debole per le formiche, che usa per una salsa in cui stufa del mais. 6. Ana Ros, Hiša Franko, Kobarid, Slovenia. Talentuosa chef, in piccolo paese di piccolo Paese. Delicata, acuta, sofisticata. Unica pecca: meriterebbe una stella Michelin, ma in Slovenia non ne danno (ma sarà vero?). Marito sommelier che appare un po’ saccente. The Joshua Topolsky’s grocery list of what will matter in the next age of media. Compelling voices and stories, real and raw talent, new ideas that actually serve or delight an audience, brands that have meaning and ballast; these are things that matter in the next age of media. Thinking of your platform as an actual platform, not a delivery method. Knowing you’re more than just your words. Thinking of your business as a product and storytelling business, not a headline and body-copy business. Thinking of your audience as finite and building a sustainable business model around that audience — that’s going to matter. Thinking about your 10 year plan and not a billion dollar valuation — that’s going to matter. What if, one day, you discover that your fulfilling social media life was completely wrong? What if your castle of self gratification and instant connections, friends and followers, mobile power and desktop automation would fall apart? We do not need an incoming Apocalypse to ask the right questions, we just need to stop one moment and think. I’ve been walking around in a kind of a daze for weeks and everywhere I go I find myself scribbling something down: open web first. Open. Web. First. The open web is the internet we build together out of the social media walls. It’s the post you write on your own blog, the note you take and share, the snapshot of a moment. It’s something you make for the whole web, out of Facebook, out of Instagram, Twitter, Tumblr, Medium and any other well engineered social media platform. Then you distribute it and link it as you wish. Why do I care about the open web? Because it’s open. Because it’s the web itself. It is a content distribution system one can control. For contents that you ultimately own and certainly you can share. Actually thinking “open web first” gives you the opportunity to share twice: 1) with the whole internet; 2) with any social platform and any restricted circle you desire. It’s something I can easily search and link, a liquid matter of knowledge we all can own and control at any time of our life. Not only a flash of a moment, an insta-something of truth you can miss just because you weren’t following the right dude at the right time. Think about your social routine today: posts living only on Facebook, buried in endless timelines. It can be acceptable if you’re sharing the photos of your cat, but if you’re a communicator, in the public square, you should think “open web first” and get control of your content. You can start reading about it following Dave Winer’s blog posts, or studying the IndieWebCamp wiki. They wrote about the open web better than me. Then you can rethink your paradigm, or keep going on, knowing even more. Yes, we have a problem: open web should be for the masses, but now it’s not that cool to join. It’s 2016, social platforms are easy and beautiful and powerful: they can gather all your friends with a glance of an API, give you instant likes, compress your videos, make you an influencer. They gain value of your content, but - if you can use them, if you’re creative enough - they pay you back. They also can get closer to the open web we have in mind, check Medium’s latest efforts and you’ll understand. An open web tool can be difficult, I’m learning the hard way trying that transition: you have to set up your own server, find a CMS, learn some coding, find your way to share your content after you publish, protect your vault. 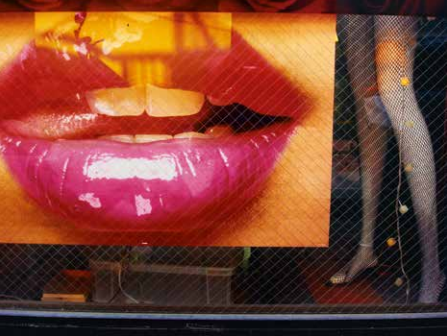 You can lose time and immediacy, you can swear and cry, make a mess and start again. It’s what we do when we change our daily habits and start living better. It’s what you do when you start eating healthy, put on a pair of shoes and start running your first mile, when you collect your garbage properly, when you discover you can even floss every day (never been able to do that). It’s good for you, it’s good for the environment. And, somehow, it’s also “shakespearesque”. “There must have a moment, at the beginning, where we could have said – no. But somehow we missed it”. PS: easter egg, find the paragraph I totally stole from West Wing, S03E10, Bartlet for America.